Playerlineup is an essential tool for managing your team. Register your team and take (back) control of your life! Coaches, Managers, Parents and Players are Using Playerlineup To Simplify Their Lives! In today's world time is precious. When you signed up for, or were asked to, manage/coach your rec team you had no idea how hard it would be. You did it for the players, for the kids, and in order to have fun. What you were faced with was confusion, complication, and a project that consumes your time. It wasn't supposed to be like this. IT DOESN'T HAVE TO BE THIS DIFFICULT! You are the contact person for games and league registrations. You are the resource tool for players and parents. You are the event planner, regardless of how little you know about planning events. You are the one behind the scenes, making phone calls, arranging for fields to be lined, cupcakes to be made, fundraisers to be organized, opponents to arrive at the right place and right time. But you have other responsibilities in your life. Perhaps you decided that you were going to limit phone calls and use technology to your advantage. You created social media accounts, calendar accounts, email accounts and loaded phone numbers into your contact list. But honestly WHAT HAPPENED? Is it simple to communicate when you’re operating on 4 different platforms? It might be easier than sitting on the phone for hours, but let’s face it, you have 10 different screens open on your computer that you have to bounce back and forth from and the clock keeps ticking. HOW IS THAT SAVING YOU TIME… AND MONEY?! It isn’t. it’s not EFFECTIVE OR EFFICIENT. Or better yet, you’ve tried using another website-based management tool. The problem is that most other services are either too expensive or too complicated (or both) to use. Not to mention that they’re stagnant… meaning they don’t make improvements based on user feedback. is for the budget-conscious coach/manager. is for the time-conscious coach/ manager. is for the coach/manager that wants to put the FUN back in SOCCER! Playerlineup has been in operation since 2008, and has helped individuals streamline their team coaching/ management. Since its inception, the website has evolved into a comprehensive, user-friendly platform tailored to sports teams and organizations. Coaches, managers, parents and players around the world have benefited from this easy, fun and economical website service. Gone are the days of numerous texts, emails, and phone calls. This is the day to start using your time wisely and having fun with your team! This is your NEW TEAM HEADQUATERS! No software to download… all you need is an internet connection and browser. Playerlineup is compatible with your mobile device and tablet too. The calendar is compatible with standard internet calendars such as Google for easy syncing. Share your personal team web address to players for an interactive experience for all! Everything you need to effectively and efficiently manage your team is in one place. 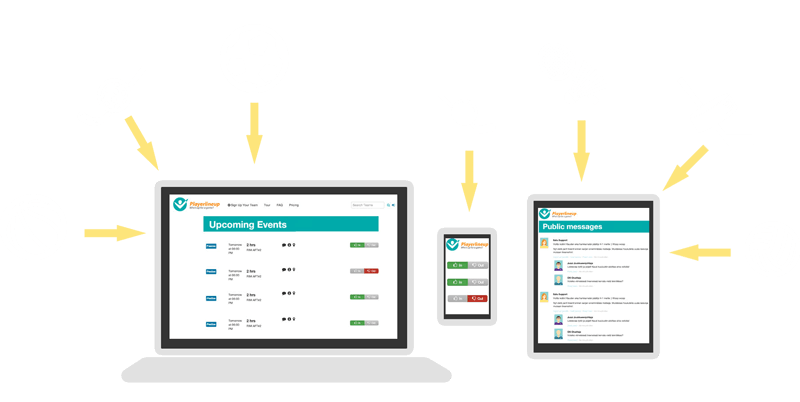 Customizable team pages allow you to share information, photos and documents; send out texts and emails; track individual and team statistics; manage your team calendar for games, practices and events. You can even request players to RSVP so that you know exactly what to expect. We offer several versions of the site that you can subscribe to. Try our FREE basic version and check out our comprehensive, low-cost membership options to enhance your management experience. Click here for additional information about our plans. You can’t afford to waste time and money! 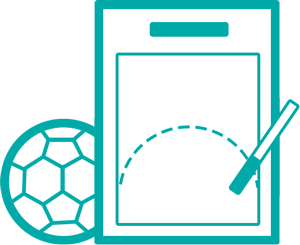 Playerlineup was created by individuals who are players, parents, coaches and managers. We know your frustration first-hand! Playerlineup was created with you in mind. You need to practice. You need to play. You need to know who will show up. You need to track statistics. You need to communicate with your team. You need to connect with other teams. Playerlineup is centered around your team's needs. You are within minutes of having your own Playerlineup page! is invalid. Use format "Firstname Lastname". Only characters, spaces, and hyphens are allowed. A great tool for communication and we can keep our playbooks on here… I love this program and believe it is an incredible tool. …Everyone knows the training schedule without extensive emailing and phone calling… it is simple and functional. We're always up to date on who'll be attending the trainings and games. Managing a team becomes a breeze. The opposing team is using Playerlineup. Shouldn't you? The opposing team is using Playerlineup.